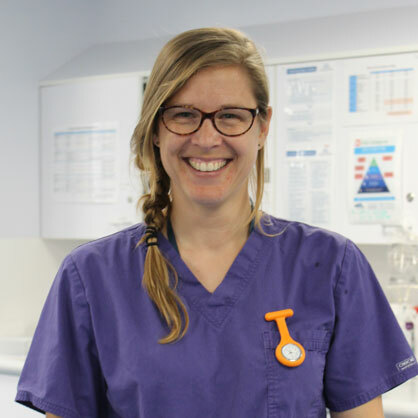 The Lumbry Park anaesthesia service is lead by anaesthesia specialists Maria Amengual and Jo Michou, supported by highly trained qualified nurses and veterinary interns. The anaesthesia service provides sedation, local and general anaesthesia and perioperative pain management to patients requiring surgical or diagnostic procedures. All patients receive a sedation or anaesthetic protocol based on their individual requirements; taking into account the intended procedure, patient history, clinical examination findings and results of laboratory tests. There are a wide variety of drugs and different analgesic techniques available, such as epidural analgesia and regional local anaesthetic techniques, which allows us to provide the best patient care and pain relief. Why does my pet need to be anaesthetised? Anaesthesia is much more commonly performed in our patients than in humans, for surgical and medical interventions and also for diagnostic imaging. Unlike humans we cannot ask our patients to lie still, in specific positions, for X-rays or MRI scans and they may be anxious in an unfamiliar hospital environment. We can therefore opt to sedate and/or anaesthetise our patients to ensure they are not stressed or frightened and to maintain patient comfort and safety during and after procedures. What is a general anaesthesia? General anaesthesia is a state of reversible unconsciousness when the patient will appear ‘asleep’ under anaesthesia; they do not feel pain and are not aware of what is happening. All the drugs used for sedation and anaesthesia have potential side-effects, and although uncommon, there is a risk with every anaesthetic procedure. We make every effort to minimise these risks by using highly trained staff to monitor each patient throughout and after the procedure. It is important that general anaesthesia is performed by qualified personnel in order to have the best outcomes for our patients. How do we keep the patient safe during general anaesthesia? Our aim is to provide maximum possible safety and comfort for our patients at all times, including the preoperative period, during sedation or general anaesthesia and during recovery. Our anaesthesia team, comprising of veterinary anaesthesia specialists and highly trained, qualified nurses, are in charge for the duration of the procedure. All patients are carefully monitored throughout. We use sophisticated monitoring equipment and techniques, enabling us to pre-empt any problems that may arise and treat these quickly and effectively.